Kia Motors America (KMA) today announced the renewal of its partnership with The Ecology Center, a San Juan Capistrano, California-based non-profit eco-education center dedicated to creating a healthy and abundant future for all of Southern California and beyond. 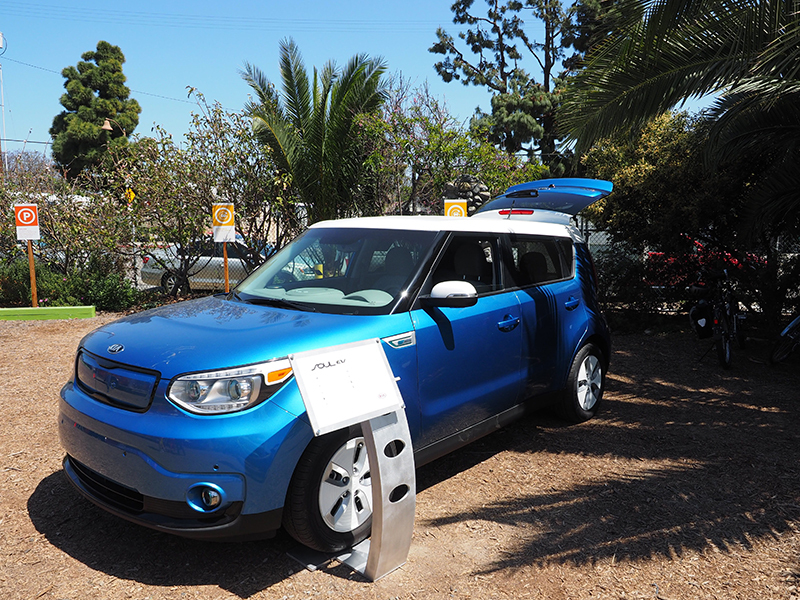 In its third year as a "Visionary" partner, Kia is providing the use of a 2015 Soul EV to The Ecology Center, which complements the two electric vehicle charging stations installed as part of the partnership last year. Kia and The Ecology Center will organize and carry out sustainability-themed learning projects at the KMA campus in Irvine, California, and in the surrounding community, and both organizations will continue work together to plan hands-on conservation and volunteer activities at The Center. "Kia's partnership with The Ecology Center has expanded over the years and is a reflection of our conscious dedication to sustainability, which is crucial for the continued success of our organization, the health and happiness of our customers and the communities we call home," said Tim Chaney, vice president of marketing communications, KMA. "With valued partners like Kia, The Ecology Center is now a recognized leader for conservation and environmental awareness, and as the Center continues to expand, more educational opportunities will be available to the public," said Evan Marks, executive director, The Ecology Center. "With the opportunity to use the Soul EV, we can carry the message of sustainability to more members of the community in Southern California and beyond." Free outdoor educational film screening for the entire community. A three-month hands-on apprenticeship program mentoring future sustainability leaders on how to apply the principles of permaculture design to address our environmental challenges. Four-day summer camps for kids 5-6 &amp; 7-9 with hands-on activities such as planting, exploring the biodiversity in soil, seed harvesting, caring of farm animals, cooking from the garden, and more. The Ecology Center's annual farm-to-table fundraising dinner bringing together 20 top chefs, 250 sustainability leaders, and local-only ingredients sourced within 250 miles. The Ecology Center in San Juan Capistrano is an educational center that engages individuals, families, and students in fun, hands-on activities that teach practical, environmental solutions at the household and community level. The Ecology Center seeks to bring all members of the community together in a solutions-based educational setting to inspire and create a healthy and abundant future for all of Southern California. The Center highlights empowering and cutting-edge environmental perspectives that can be applied to the way we live our lives, making it possible for us to coexist with a thriving environment.